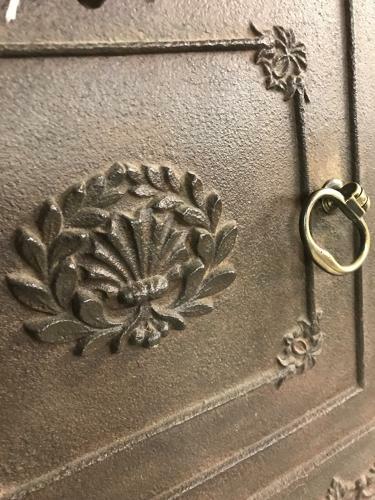 Very attractive Victorian cast iron Bread Oven Door in it;s surround hence could be fitted into an inglenook or kitchen as a feature. Original brass catch. Condition is very good. Would have had a vent where there is a hole at the base.